Okay, so you’re home with a bag of weed, but you don’t have a smoking piece. Well, luckily there are many ways to make homemade bongs and pipes. At first glance, this bong looks like something that came from a headshop. On the contrary, a weed enthusiast on Reddit made it by hand and named it Namaste. This particular bong is made from bamboo, as is no doubt a work of art. 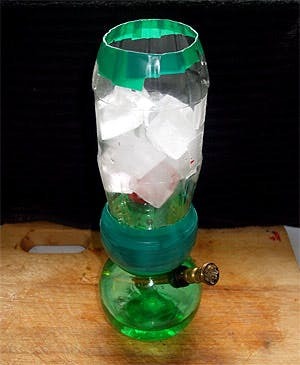 Not only does this three chamber, dual percolator bong deliver smooth hits, but it also was made using simple items that you typically find lying around the house, including pill bottles and bendable straws. Props go out to ErrORNotFound from Grasscity. 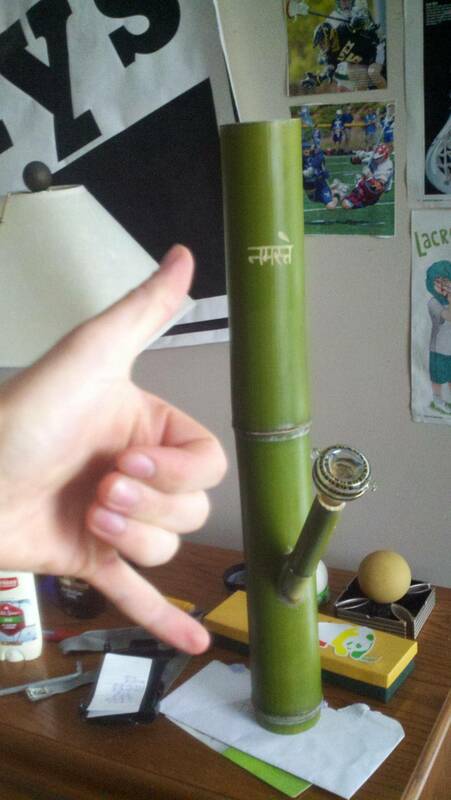 Apparently, bamboo can make a great bong. Not to mention, both cannabis and bamboo grow together well in the same weather. It’s like a match made in heaven! This bong looks like it took lots of work to complete. As can be seen, this is one gorgeous bong indeed. In fact, a user from Reddit made this fantastic piece with his dad. Of course, pizza and weed go together perfectly. But you have to be one creative cat to make a dough bong. It’s safe to say on-the-job-training at Dominos is serious business. So, you more than likely have seen a gas mask bong before. Rather than mimic that idea, this person decides a pilot helmet is a better option. Looks pretty intense, to say the least. This beautiful bong is made of recyclable materials that you may be able to purchase yourself. In fact, it also comes with a 100% soy wax candle. Although there is no official website to place an order from, here is the Instagram account. 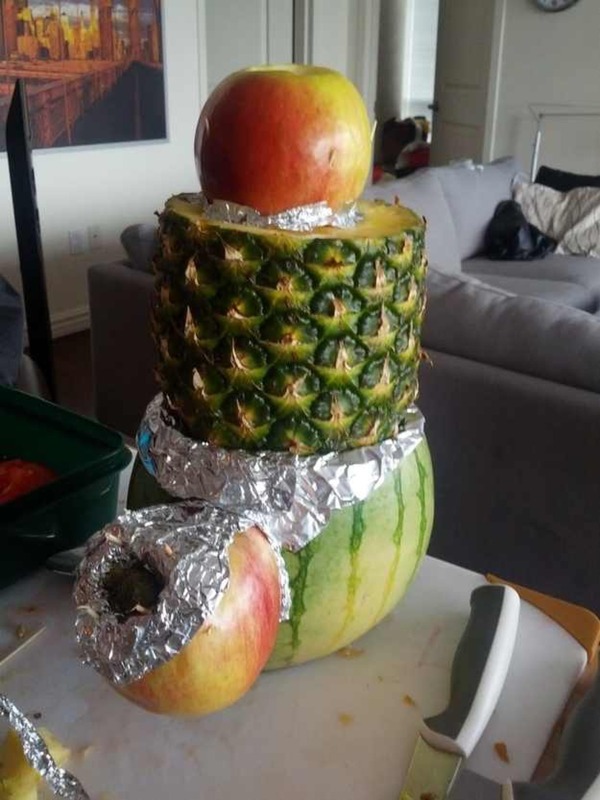 Why use one fruit to turn into a bong when you can use three? This bong contains pineapple, watermelon, and apples. After all, variety is the spice of life. Save the landfill, reuse and repurpose! 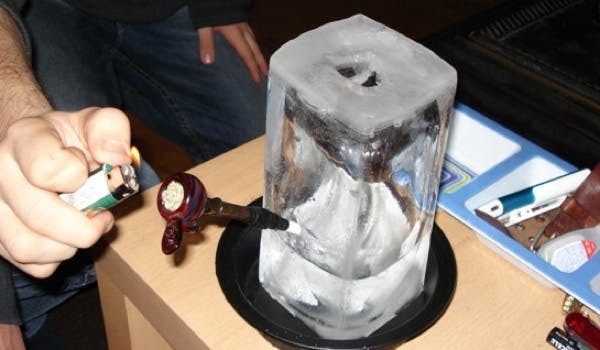 Ice and bongs go together like peanut butter and jelly. This clever design makes the ice (commonly used to alleviate the harsh burn of smoke) into the bong itself. Unbelievably clever and probably a great smoking device. Yet Another Use for Coconuts! Everyone knows that coconuts taste great, can be used in many recipes (both medicated and regular recipes) and are great for the skin and body. Yet here’s another use for the coconut that few have thought of before. A combination of two plastic bottles, this homemade bong allows for a large amount of ice which will cook the smoke out of what may be a harsh intake. Clever. Made from a recycled juice bottle, here’s a homemade bong with a nostalgic twist that is sure to get you high. 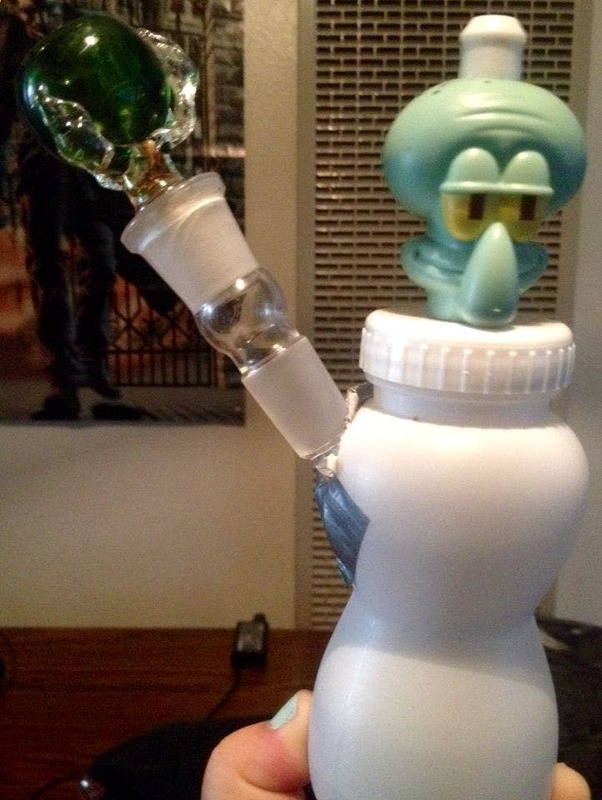 Squidward did always look like he had just smoked a joint, didn’t he? Of course – having an inconspicuous and portable one-hitter or vape pen will help you avoid a bind, too. 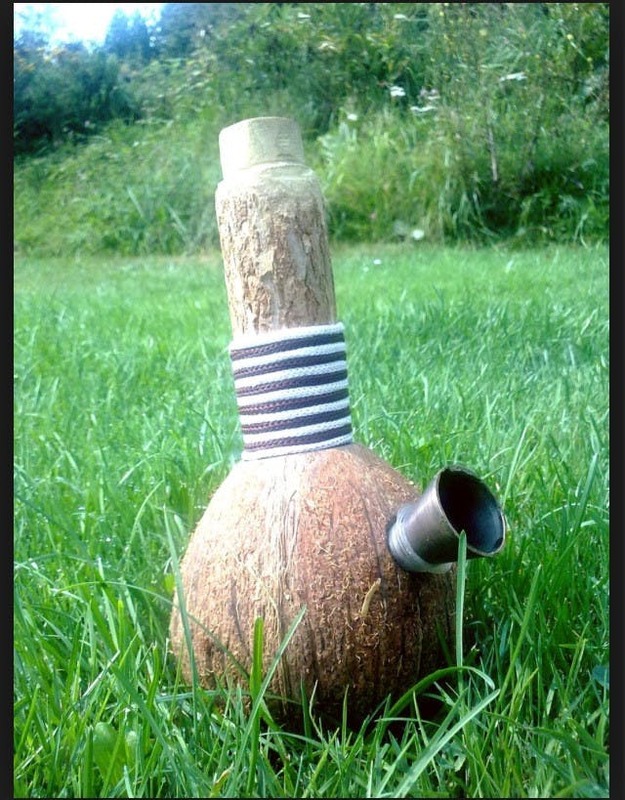 Do you have any good homemade bong ideas? Let us know!